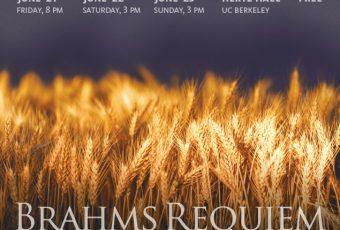 For more than 50 years, the Berkeley Community Chorus & Orchestra has provided people of all musical abilities and backgrounds to sing major symphonic choral works — and has performed them free of charge for the community. StoryChorus was founded in our 50th year as a way to capture and share our history and the joy we feel while singing and playing in this unique musical organization. 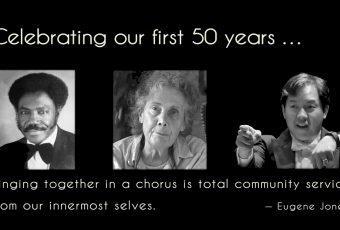 Support BCCO as it sings through its next half-century! 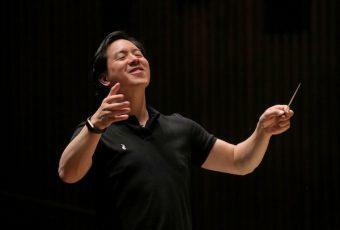 More than 50 seasons of joyful rehearsals, breathtaking choral masterpieces, a loyal community of singers, growing audiences, dynamic performances, an outstanding orchestra, thrilling soloists, gifted young assistant conductors, highly successful composer competitions, a tradition of free concerts and of welcoming singers of all levels of experience, with no auditions. Founded in 1966 by Eugene Jones — the first African American conductor of a large Bay Area chorus and orchestra — BCCO choristers sing with deep commitment to community and an understanding of the power of music and the arts to create a better world. Help us keep singing for another 50 years!